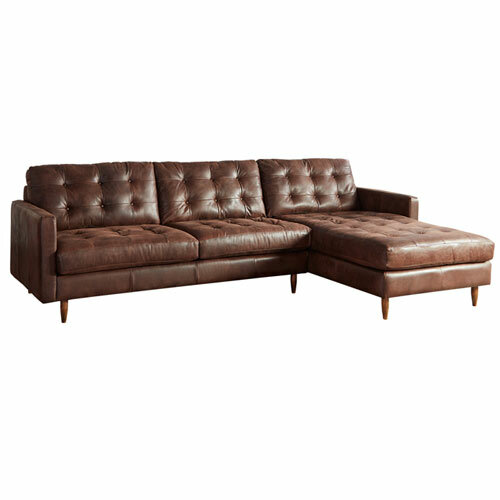 For a casual, welcoming vibe in the living room go with the Dream Maker Leather Sectional. 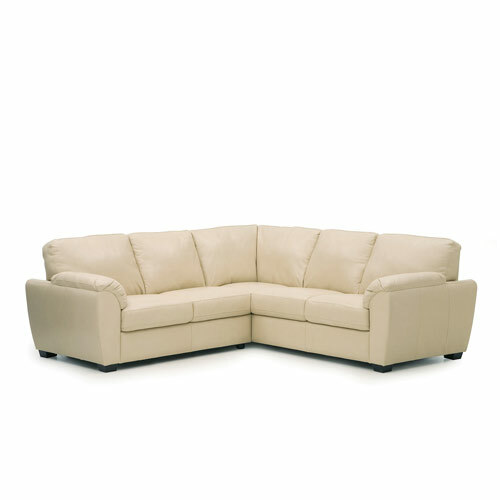 The simple look of its over-stuffed back cushions and rolled arms keep the style understated. 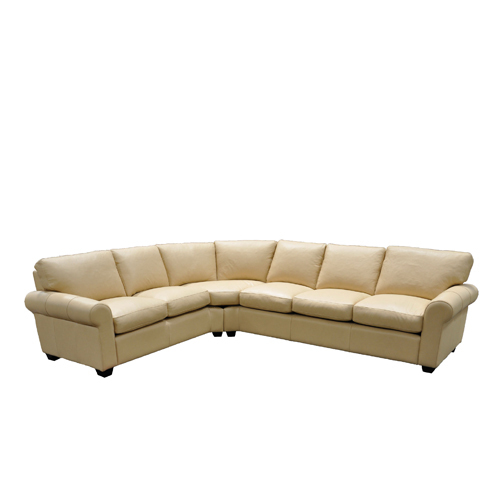 Ideal for a casual seating area, family room, or den, the sectional has round hardwood feet and matching piping along the fronts of the rolled arms. 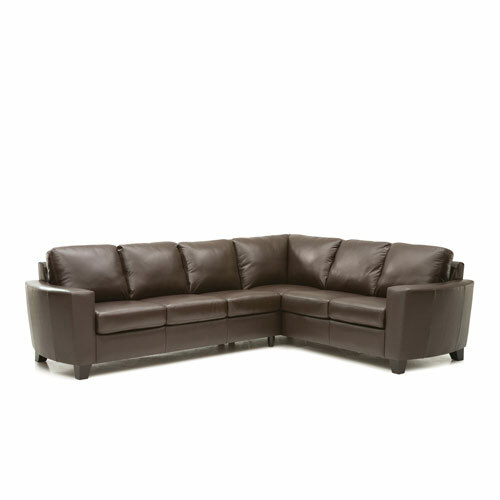 The back cushions are sloped to provide support while allowing you to comfortably lean back and relax. Visit one of our showrooms and talk with one of our leather furniture experts.